It's November 7, 2006, and here in America, we all know what that means. It means whatever you do today, be sure to exercise your rights as an American by staying the hell away from your telephone. Yes, friends, it's election day. The day when we celebrate democracy by getting phone call after phone call telling us how to think. Campaigners call us. Candidates call us. Well, actually, the candidates themselves don't call. Computers call, with messages the candidates have pre-recorded. Yeah. Like, that's who I want to vote for. Someone whose basic message is, "[Three second pause to be absolutely sure I have answered the phone...] Hello. I'm Fred Z. Teleterror, and my time is more important than yours. That's why I'm interrupting your work day with this pre-recorded message, rather than calling you personally, to remind you to vote. Because who knows? You might be too stupid to remember to vote today, even though election day is front page news, and 583 other people have already reminded you to vote. This is an extremely important election year. Some election years... not so important. But this year, blah, blah, blah, blah, blah. Have you hung up yet? Is anybody still listening to me? Hellooooo????? [::click::]"
In 2004, I received eight calls -- eight calls! -- from the Democratic Party. Six of those calls occurred during a two-hour period in the evening, just as polls were getting ready to close. Personal message to the Democratic Party: It is not necessary to call and remind me to vote... six times in one evening... after I have already voted! I became sufficiently irritated that I sent the party headquarters a letter after election season was over, asking them why they felt it necessary to call me that many times. They never responded. I guess they didn't like me interrupting their work with petty inquiries. This year, I am tempted not to vote at all if I get too many phone calls. It's a tough dilemma. Who would I rather see crash and burn? George W. Bush's cronies, or every telemarketer in America? By a paper-thin margin of error, the phone call people win. I'm going to vote. Then, I'm going to hide under my desk and whimper until 8 p.m. when the polls close and my phone stops ringing. I was walking through Oslo, Norway, last week, when I came upon a hunger strike. A group of Afghan refugees was camped outside the Oslo Cathedral, protesting a proposal to repatriate them to Afghanistan. They were on day 25 with no food. Saddam Hussein went on a hunger strike of his own this week, but he didn't last 25 days. He lasted one meal before he started eating again. Saddam, dude, just because you don't like the lasagna one evening doesn't mean you get to call it a hunger strike! When I was three, my nursery school teacher taught the class to sing a song in French. None of us toddlers had mastered the French language yet. At age three, we were still working on our English. But we learned the song anyway. Kind of. We had no clue what we were singing. To us, the song was a bunch of random sounds. They seemed more sophisticated, however, than "Row, Row, Row Your Boat," which, quite frankly, was beginning to sound like one of those hit singles that rocks your world the first time you hear it, but then the radio stations all go and play it to death. Thirty-four years later, I still remember the French song. I don't remember the real words, but I do remember the words as they came out of my mouth. Now that I am a pseudo-adult who speaks pseudo-French, I can tell you that whatever I was singing, it was not French. It was random syllables slapped together in an attempt to parrot my teacher. At the time, though, I felt smug and worldly about my multilingual music skills. Now, President Bush has come under fire for allegedly singing the Star Spangled Banner in Spanish. Bush said a couple of weeks ago the national anthem should only be sung in English, but critics claim he sang the song in Spanish during the 2000 election campaign. White House Spokesman Scott McClellan has said that's impossible. According to McClellan, Bush couldn't have sung in Spanish because Bush's Spanish is lousy. I'm not buying it. If if a barely monolingual three-year-old can have a go at singing in French, the president of the United States could have attempted to sing in Spanish, even if no native Spanish speaker would ever understand him. Nevertheless, McClellan said last week that Bush "couldn't possibly sing the national anthem in Spanish. He's not that good with his Spanish." McClellan did not comment on the president's English. Ice Cream Haters, Chill Out! People! We have important political issues happening in the world! Ben and Jerry are not the enemy! Okay, so they screwed up. The coolest, most politically sensitive ice cream makers on the planet made a mistake. They're human. Ben and Jerry -- the good people who have brought us creative ice cream flavors such as Neapolitan Dynamite, Karamel Sutra, Cherry Garcia, and Jamaican Me Crazy -- unveiled a new flavor just before Saint Patrick's Day called Black & Tan. Now, ice cream hating radicals in Ireland (I stress these people are radicals, not mainstream Irishmen) are in a tizzy because the Black and Tans, officially called the Royal Irish Constabulary Reserve Force, were a group of pro-British soldiers recruited in Ireland in the early 20th century to help squash (sometimes through violent means) anti-British sentiments. They were considered by many to be an occupying army in Ireland. 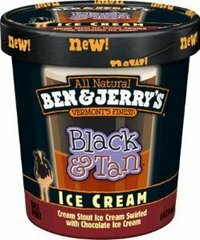 That some people consider the name "Black & Tan" offensive as an ice cream flavor is understandable. Yeah, it's an offensive thing to joke about, but if you're going to scream about insensitivity, don't scream at Ben and Jerry. They, with innocent intent, took the name from a drink, also called a Black and Tan -- a mixture of Guinness Stout and Bass Ale, which is sold at half the Irish pubs in America. One commenter on junkfoodblog.com wrote, "I can't believe that Ben and Jerry's would be so insensitive to call an ice cream such a name and to launch it as a celebration of Irishness ...it's an insult!" Another wrote, "What next 'Nuts & Nazis'?" No, dude. That's not what's next. Ben and Jerry made a mistake. They made this mistake because they were trying to name their ice cream after a mix of beers, not because they were trying to promote a defunct group of political thugs. Ben and Jerry's is a company with a long history of promoting peace and environmental awareness. They didn't know where the beer mixture got its insensitive name. Was their choice of names ignorant? Should they have known better? I'm not sure, but how about educating them in a sane way instead of trying to put a pro-Nazi spin on their business? A few people have gone off on the cliched rant that this is more proof all Americans are ignorant. Are some Americans ignorant? Hell yeah. So are some Irishmen. I'll tell you what: I'm a Scandinavian-American. If you can tell me specifically what the Stockholm Bloodbath was, when it happened, and who caused it (no cheating and looking it up on Google) then you win. But if you're not an expert on every repressive political episode in world history yourself, quit whining that some people in other countries have not been educated on every detail of your country's history. Ben and Jerry have learned. They have apologized. They have admitted they screwed up. If the term "Black and Tan" offends you, boycott the pubs. (I dare you.) They're the ones who started this mess, and I don't see Guinness launching any campaigns to stop it. With all the real injustice in the world, it boggles the mind that anyone would equate Ben and Jerry with Nazis. We've got real problems to contend with, people. Go confront them. Or go have some ice cream. Stick to vanilla if you must, but if you consider Ben and Jerry a serious threat to social justice, perhaps your brain has frozen.